The writer, recipe developer and photographer of this little blog introducing Chinese recipes. 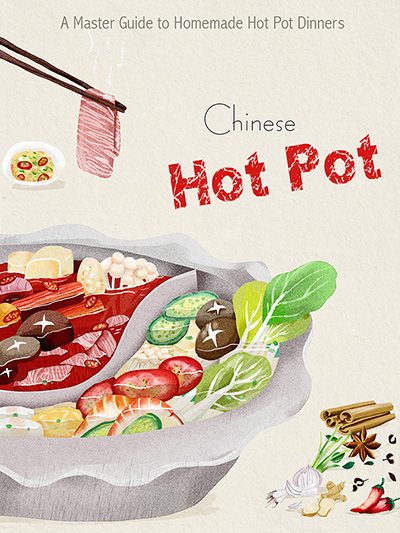 As a foodie, I am a big fan of hot pot (火锅 in Chinese). 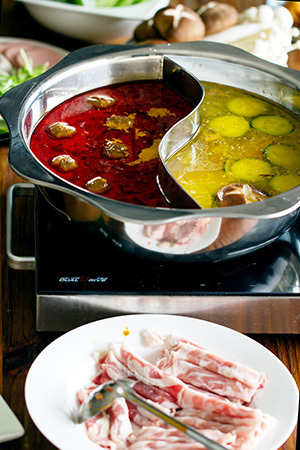 I love to taste different types of hot pot and reproduce them at home. 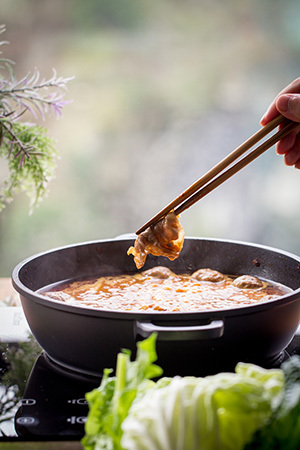 Homemade hot pot dinner is always my top choices especially for social gathering. 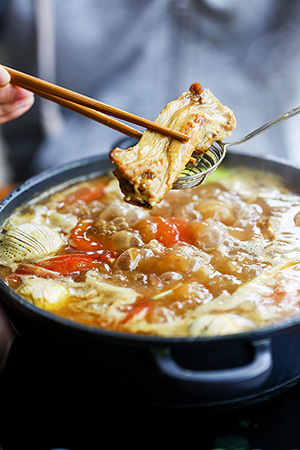 Following pictures are some of the final hot pot dish, they are served either as a family dinner or for a social gathering. 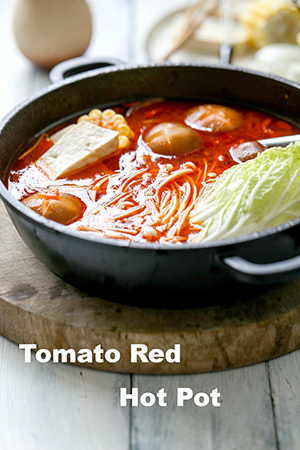 In most of the recipe sections, Elaine brings photos of important steps and unfamiliar ingredients to help you going through the process easily. 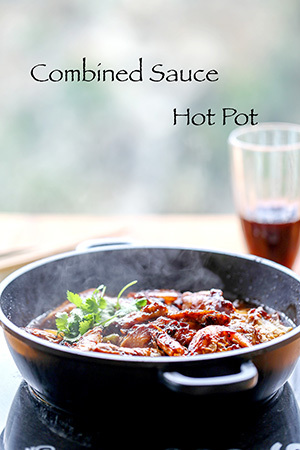 Tips for choosing ingredients and dipping sauces usually are also included in recipe page. 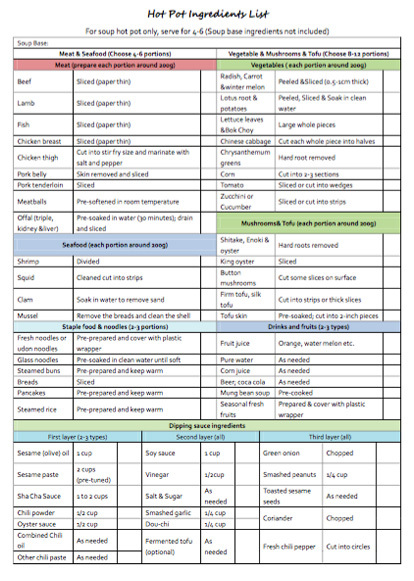 An ingredient preparation list is also attached, as it may help to make the process much easier and well-arranged. 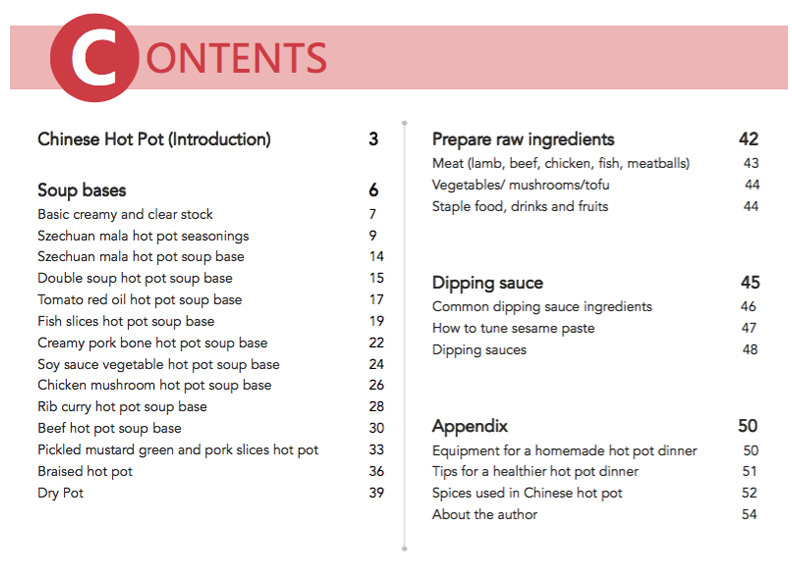 You can firstly pick the ideal soup base, print the ingredient and recipe sections out from the e-cookbook and prepare the raw ingredients by checking them on the list. 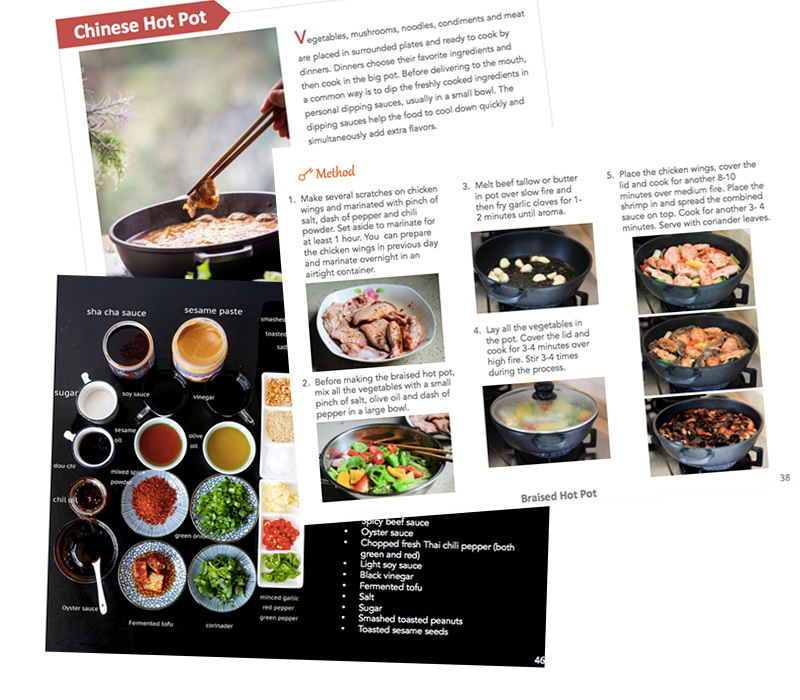 The e-cookbook and ingredient preparation list are now available as PDF, easy to print and read on computers, phones and pads. 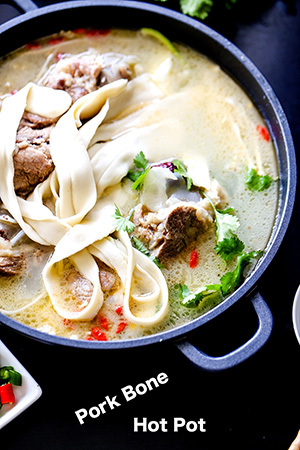 Want to make yummy and diverse hot pot dinner at home?? Get your copy and start today! 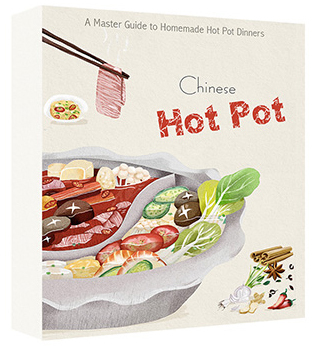 Thanks for taking time to check this hot pot e-cookbook and being involved with Elaine in my little space on the internet. 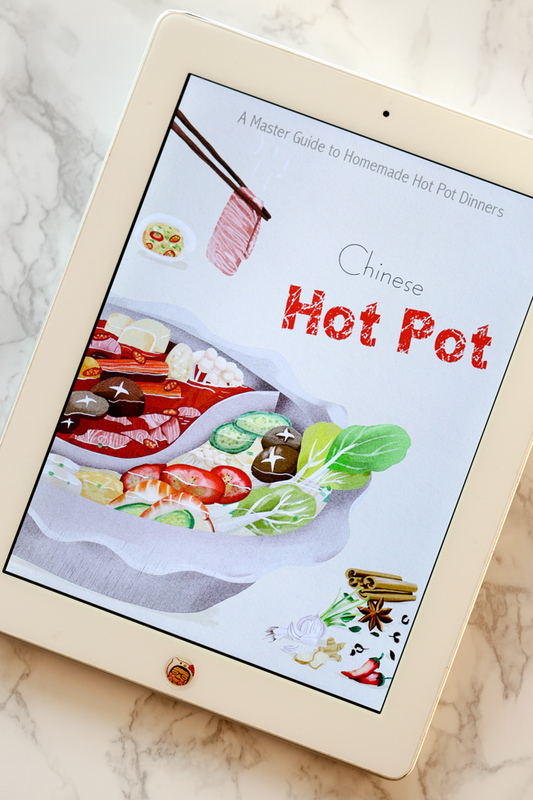 Please help Elaine to spread the cookbook to hot pot lover around you. Happy cooking!